AH HA HA HA! - Amirite? - Post your opinion and see who agrees. HA! That's what I thought when that picture was taken...it was at last year's SOTU address, if I remember correctly. 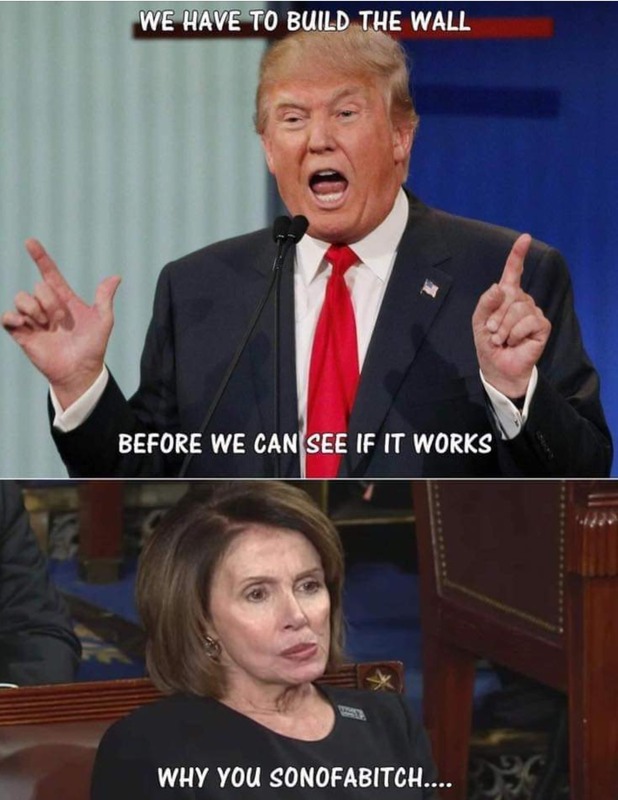 You would think Nancy could afford implants. @deusvult that is HILARIOUS! awesome! It seems to me I've heard this song before! @JanHaskell It seems to me I've heard this song before! CNN's Jim Acosta went to the border...showed how well border wall works. I'm not thinking that was his intention. HA HA HA! Completely understandable! I love it. Pelosi say's, we let all illegals in because ,no Americans will vote for us.